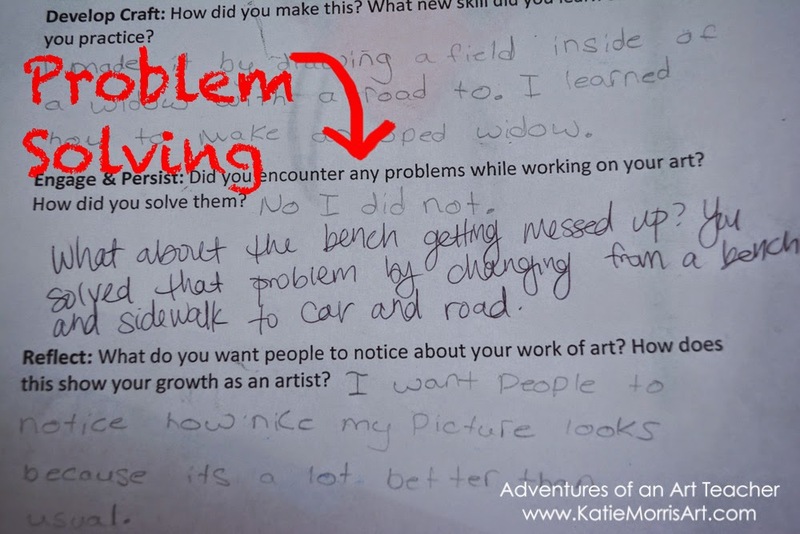 Adventures of an Art Teacher: Problem Solving- They Don't Know They're Doing It! Problem Solving- They Don't Know They're Doing It! This student didn't know how to resolve the background and decided to use marker to mimic a wood grain to solve the problem. Since I started teaching with TAB-Choice pretty much full time this year, I made a requirement that choice projects come with artist statements. (And they were actually written most of the time.) One section on my artist statement form asks if the student encountered any problems and how they solved it. The answer for almost every student on almost every project should be "yes" but they almost always write "no". After talking to a group of 5th grade students who asked to stay in the art room and keep working during their recess, I realized that the students don't always know they are problem solving. Unless it's a catastrophe, the little problems that are considered and solved in the artistic process don't register as problems. 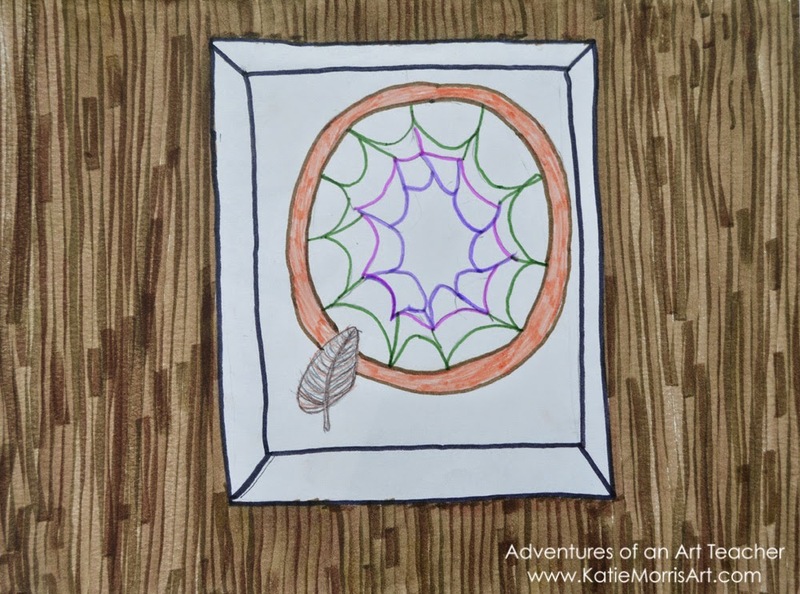 Example: The artwork below was inspired by a photo of a stained glass window. 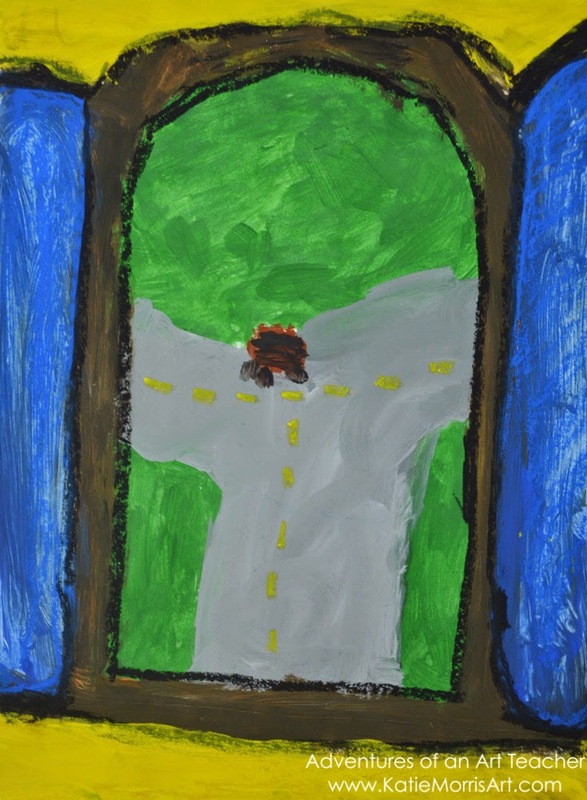 The student wanted to draw what you might see out of a window with a similar shape. The gray part started as a sidewalk and the brown thing started as a bench. She had a really hard time making the bench look like a bench since it was small, so she solved the problem by turning it into a car, and the sidewalk into a street. We talked about the problem and I asked her questions until she came up with the solution. But when it came time to right about it, she either forgot or didn't think of it as problem solving. Inspired by that example, I started writing notes back to students on their artist statements. 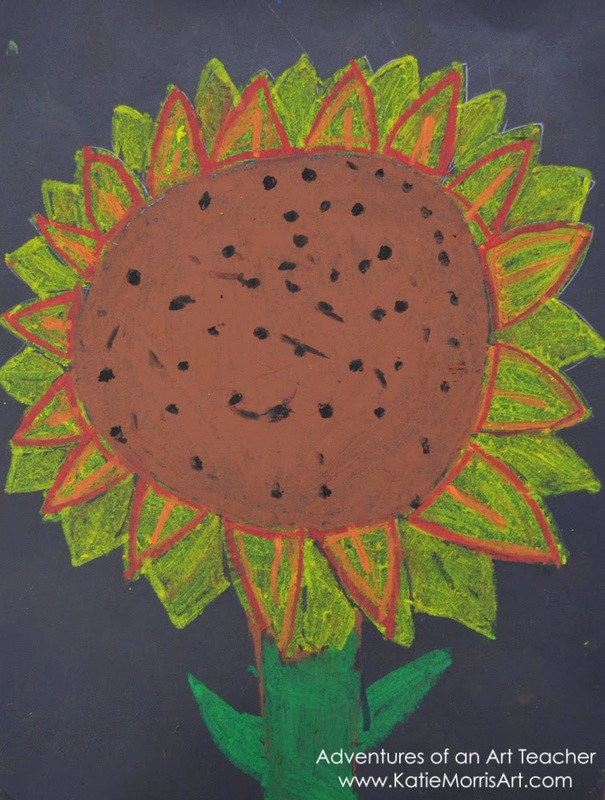 The student who created the sunflower had a problem when all the petals were blending together. She solved the problem by adding in other warm colors for definition. 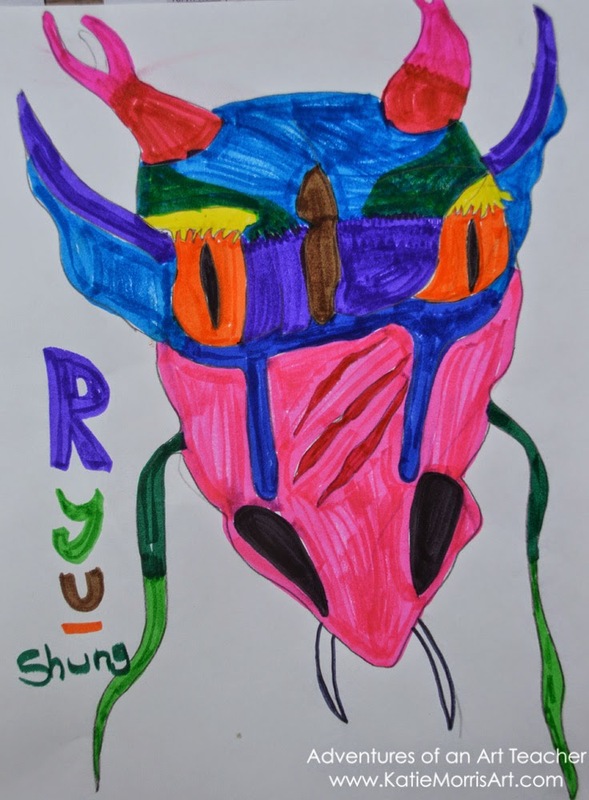 The student who made the dragon had a different kind of problem- she wanted to draw another dragon out of my very popular dragon book but I wanted her to do something at least a little different than what she had done before. She came up with the solution of combining parts of different dragons to make a new design and then changing the colors even more. Do your students realize how much problem solving they really do in the art room? If we talk about it as one of the benefits of art education, I think it's important to make sure students are really aware of their thinking and the awesome solutions they are finding when solving problems, even if they're just little problems. AMEN! It is one of the most important skills kids learn in the art room!